Data science led marketing company Jaywing has had a busy month with the opening of three new premises in the UK and Australia, including a move to Sheffield City Centre for the plc HQ. 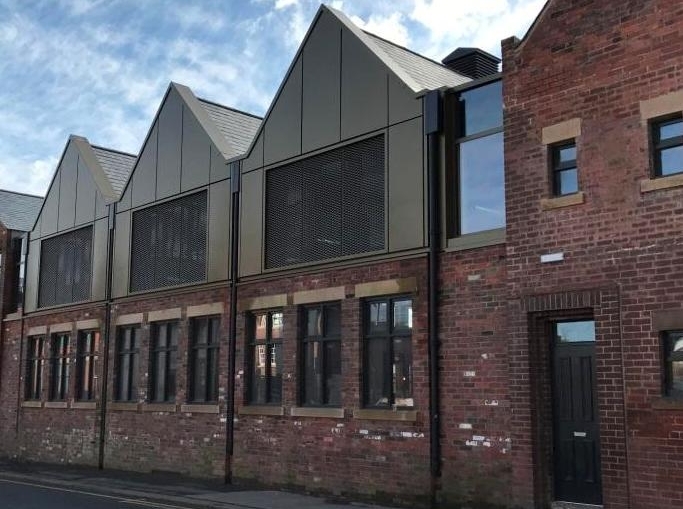 The HQ flagship building has seen significant redevelopment of a derelict former forge, Albert Works on Sidney Street, that has kickstarted a new phase of regeneration in the area both by commercial developers and the council that will include a new public walkway along Porter Brook. The relocation took place in April with the official unveiling taking place today. The move sees a shift in pace for the company, which cites greater opportunities for widening its recruitment net across the north given its proximity to major transport links, with Sheffield’s mainline station just a stone’s throw away, among its reasons for the relocation. “The opportunity to create a more inspirational space in a ‘ground-up’ development of a truly modern working environment, married with the rich cultural heritage of the Sheffield steel and silver industry was too good to miss – it strikes at the heart of what we’re about as an organisation. Designing sympathetically and almost from scratch means we’ve been able to include features that showcase the building’s history and deliver purpose-built event and collaborative spaces,” said UK & Australia CEO, Rob Shaw. In late March the company moved into new Sydney premises, which has also just seen its official launch. The Sydney office is expanding rapidly since acquisitions made in 2014 and summer last year as Jaywing follows its international growth strategy. The final of the three global moves has also just come to fruition as the larger of its Leeds offices has just opened its brand new extension for business. Hew said: “The project in Leeds has two-phases to it. The first was to add an extension to our existing historic building. We’ll move everyone into the extension, which has significantly increased capacity in Leeds, while we refurbish the current building in advance of a grand opening later in the year. “We’re setting ourselves up here for a fantastic future in our most strategic locations, all of which are designed around excellent transport links, opportunity for growth and our attractiveness as a major agency employer. “We’re now well-placed to attract creatives, designers, data scientists, marketers, search and biddable media specialists into both Leeds and Sheffield from the huge pool of talent in the north and beyond and have a number of vacancies available right now. “We have both beautiful countryside and thriving social destinations in vibrant cities on our doorstep. Both of which have so much to offer, especially those looking for a move out of London, although we have current opportunities there too. This of course extends to Sydney, with the Australian lifestyle, fantastic beaches and extensive waterfront on offer.